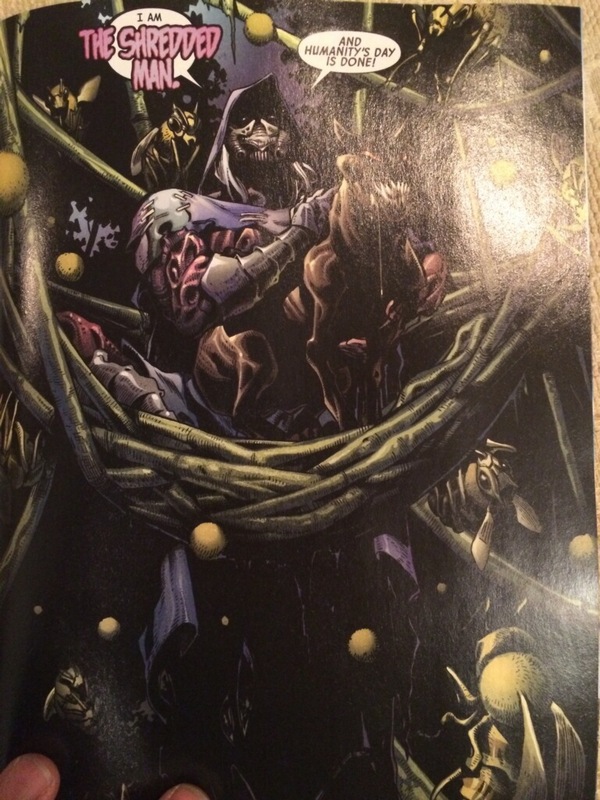 In Uncanny Avengers Vol 3 #1 we are introduced to a new villain called the Shredded Man ( see below). He looks pretty menacing and when Marvel usually introduces a new villain they stick around for a few decades. This is especially interesting considering this is the 1st major villain introduced after Secret Wars. I have found no information about this character since I was told about his appearance earlier in the evening. 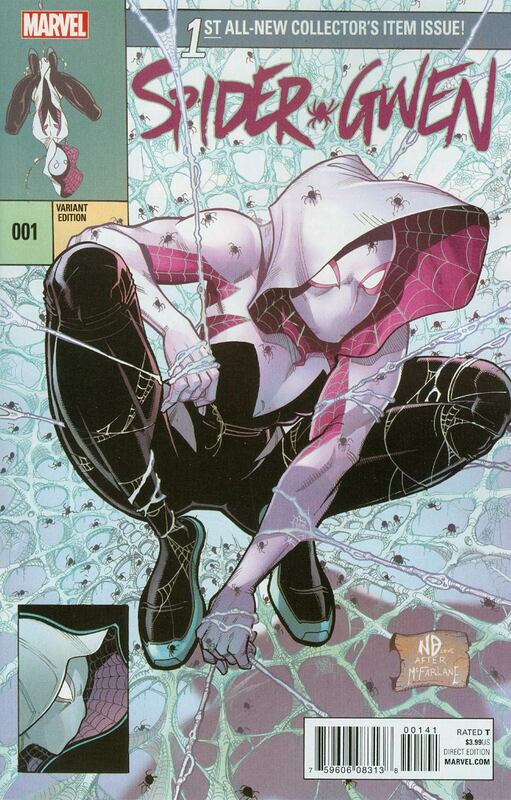 There is a J.Scott Campbell variant for this that will be the winner down the road if this character sticks. 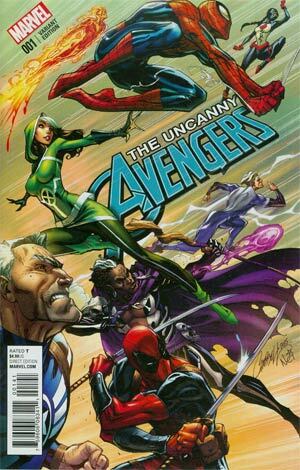 I would look for it tomorrow if your LCS has a copy, or if they show up on eBay cheap. This is one of his better covers showing both sexes for once! There are 4 other variants coming out for this title tomorrow as well you should keep your eyes on. 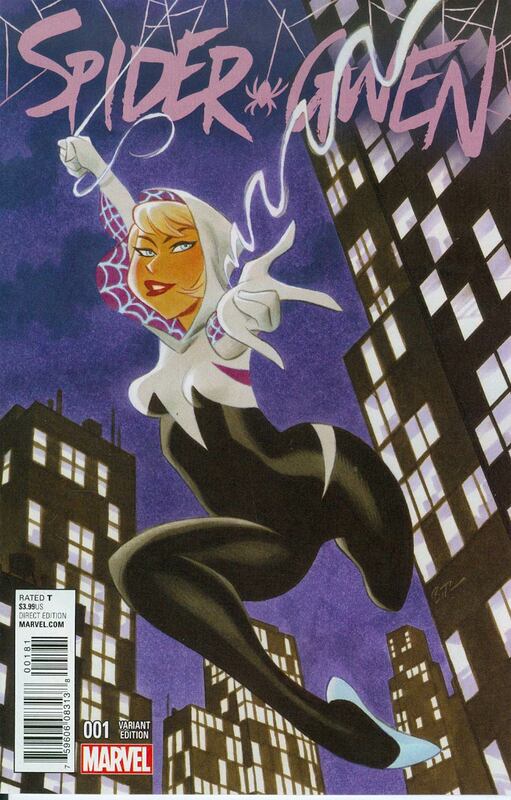 The other book to look out for tomorrow is Radioactive Spider-Gwen #1. 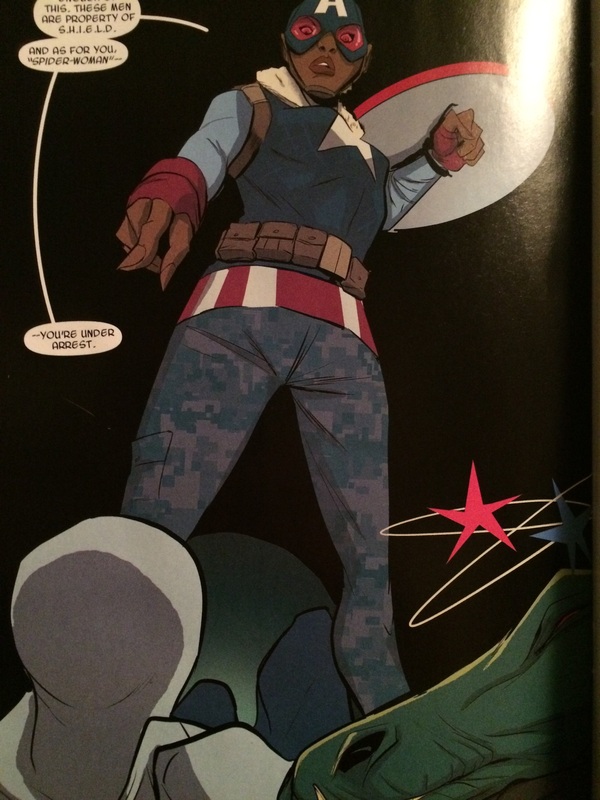 The last page shows an unnamed female in Captain America gear. Might be something, might not, but with the leverage females have in comics right now I highly doubt Marvel put her in this book if she was relevant. The two variants to look for tomorrow for these books are the Bradshaw variant and the Timm variants below. Those 3 variants were drawn by 3 big names in the industry, if these new characters get big in the future this variants are clear winners. Or just the Earth-65 version of Captain America. American Dream is white though and this panel looks of another ethnicity.